There’s nothing fishy about this fun adventure! Pete, a familiar character from the Ella series, has plenty of fans around the world. Pete is sporty, kind-hearted and a bit forgetful, but everybody likes him. In this book, he and his dad head off to Norway on a fishing trip, but not everything goes according to plan. Pete’s Fishing Book is designed to be very easy to read. 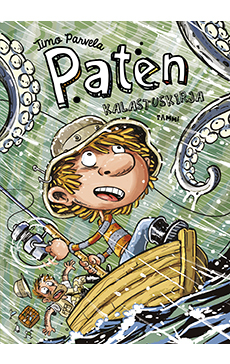 Pasi Pitkänen’s unique, comic-like illustrations are a perfect match for the story. The previous books in the series – Pete’s Blog and Pete’s Football Book – are much loved by girls and boys, parents and teachers alike.